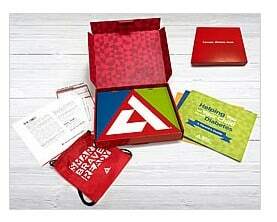 Parents of kids recently diagnosed with Type 1 diabetes can order a free Everyday Wisdom Kit! This Courage-Wisdom-Hope Kit for children and their families will help every kid feel smart, brave and ready to live a great life. The Courage-Wisdom-Hope Kit includes: Parent Guide, Kid’s Interactive Guide, Sibling Guide, Drawstring “go” bag—sized for a meter, strips, glucose tablets, snack and other necessities and a Write-on emergency contacts magnet and pen!